Hi there, it's been a few months singe I last blogged. I've been learning lots about social networking and for this blog post I'm taking a look at Pinterest to hopefully encourage you to explore it too. WARNING ... It's super addictive!!! As well as talking about being a mum in business, I also like to tell you fresh news and share cool clothing ideas for your children. This blog is going to combine the two! Pinterest is one of the areas of my business that I've been building over the past few months https://www.pinterest.com/supernaturalcol/. It's great fun and suits me down to the ground because it's so visual and immediate. I've used Pinterest to find loads of great ideas to illustrate this blog, I hope you like it. Personalising ... EVERYTHING is huge these days. Everyone seems to love wearing their name or initial or age loud and proud on their clothing. At Supernatural Collections we've introduced lovely personalised organic boy's and girl's T Shirts and baby onesies. 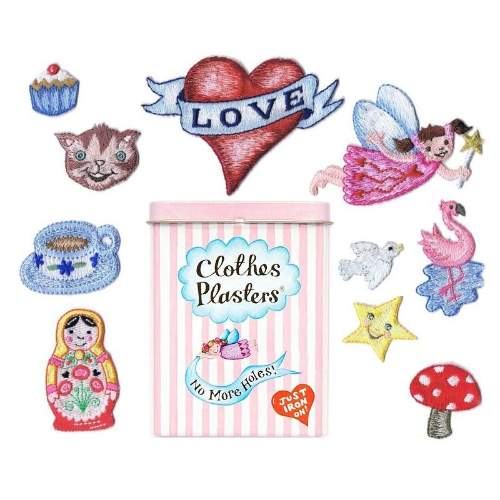 We embellish our organic baby and kids clothing with letters and numbers from the deliciously quirky and colourful range by Jennie Maizels (she's the one who came up with the wonderful 'Clothes Plasters' - a groovy modern take on the sew-on patches so loved back in the 1970's). 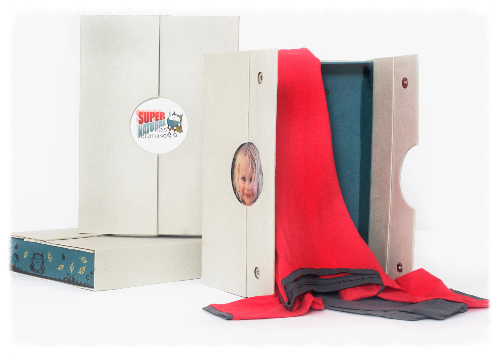 We also offer Keepsake & Gift Boxes which can be personalised by slipping your favourite photo, date of birth/age or name of your baby into the cleverly designed box lid. Here's a little tutorial from me showing you just what I mean. But if you're feeling creative, here's some really cool DIY ideas for pimping up or personalising your children's and baby clothing which I found after digging around on Pinterest. I love these gorgeous and super simple to make letters and words from fabulous The Journals of Giddy Giddy. I found these Custom Sand Imprint flip flops (or thongs as they say in Oz!) made by Flip Side Flip Flops on the Down That Little Lane blog . Learn how to do felt monograming by Leana of A Small Snippet blog, you can use this technique for letters, numbers shapes, animals - whatever your creative heart desires.. I came across this dress idea by Welcome to The Mouse House blog. It's such a cool idea and one which I know my daughter would love to get her hands on! From self confessed craftaholic Michelle McInerney of Mollymoo blog, learn how to pimp up your plimsols! Everyone - girls AND boys - love doing running stitch. See Good Reads at Tots100 UK parent blogs which shows just how easy it is to add their name to anything. This idea from Baby Shower blog just makes me smile. It's so cute and a really cheap but lovely thing to do for a new baby. Customising your jeans with fabric paint is just one of many very cool ideas from Joybobo.com. For lots of other supa easy and fun ideas for pimping up and customising your children's clothing take a look at my Pimp Up & Personalise Your Kid's Clothing board on Pinterest. Finally, I found this fantastically useful and clear blog about how to get the best out of Pinterest from Aus Mumpreneur - Mumpreneurs across the world Unite!! !